It has been my experience that the church of Jesus Christ is chock-full of glorious stories of the power and presence of our Lord. It’s also my experience that many of these stories remain untold. The church is poorer for this silence. Why aren’t we telling these stories? A story about a trucker who gave his life to Christ at a Flying J. He had driven in complete silence the past year due to the bitterness and anger that consumed his soul. This man speaks of a significant weight that came off his shoulders the moment he confessed and received the forgiveness of his Creator. A story about a young mom desperately praying to a God she barely knew, asking that he reveal himself. A short while later, she met a young couple who’d been praying for God to cross their path with people to share Jesus with. This led to a journey of following Jesus and a baptism two years later. She speaks of her newfound peace, hope and community. A story about an agnostic Starbucks barista who found himself alongside co-workers who kept talking about hearing from God. Sceptically, he went to one of their worship services as a “learning experience.” That night, he wept as he encountered the power of the Holy Spirit for the first time. God would then lead him to prepare for ministry at a Bible college. These are just a few of the stories I’ve been hearing and clinging to. And I wonder why we don’t tell these stories more often. Why do they require some digging to get to? The telling of stories has sustained God’s people throughout their history. Every year at Passover, the Jews would tell of how God delivered them from captivity in Egypt. They had seen his power and mercy. They told the stories of Abraham, Isaac and Jacob. They told of the feats of the great prophets. These stories carried them through the highest of highs and the lowest of lows. They reminded themselves over and over again of the saving power of their God. They clung to these stories as they were led in shackles from Jerusalem to Babylon. They reminded their children time and again as they persevered under Roman occupation. They propelled the early church as they went out as witnesses into all Judea, Samaria and to the ends of the earth. And yet the telling of real-life, flesh-and-blood stories plays a minimal role in today’s church. The thing is, I need these stories. We need these stories. The Christian life is a rocky road. Taking up one’s cross is not a walk in the park. I need these stories of hope when the friend I’ve been encouraging for two years returns to his meth addiction. I need these stories when a buddy scoffs when I finally muster up the courage to share the good news of Jesus with her. I need these stories as a family member continues down the long heart-wrenching path of terminal illness. These stories remind me that God is bigger and more powerful than the sorrow and pain that life brings our way. These stories remind me that God can transform a life in an instant. These sto-ries assure me that he is faithful, merciful and full of might. Why aren’t we telling these stories? The church of Jesus Christ needs to hear them. 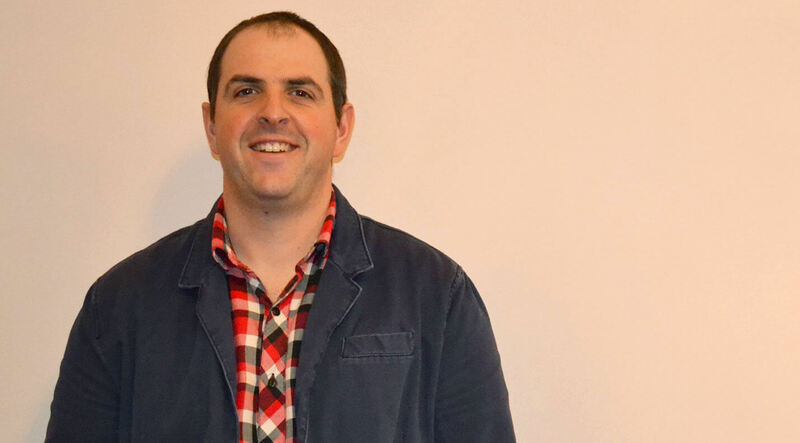 Following five years with the Kingsfield-Clinton church plant in southwestern Ontario, Ryan Jantzi now pastors the nearby Kingsfield-Zurich Mennonite Church, where he’s fascinated with exploring the interplay between traditional church and new expressions of mission. This is his first reflection in his new column, Kingdom Yearnings.